Drawn from Krista Tippett's Peabody Award-winning public radio program, the conversations in this profoundly illuminating book reach for a place too rarely explored in our ongoing exchange of ideas--the nexus of science and spirituality. 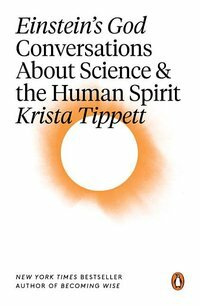 In fascinating interviews with such luminaries as Freeman Dyson, Janna Levin, Parker Palmer, and John Polkinghorne, Krista Tippett draws out the connections between the two realms, showing how even those most wedded to hard truths find spiritual enlightenment in the life of experiment and, in turn, raise questions that are richly, theologically evocative. Whether she is speaking with celebrated surgeon and author Sherwin Nuland about the biology of the human spirit or questioning Drawin biographer James Moore about his subject's religious beliefs, Tippett offers a rare look at the way our best minds grapple with the questions for which we all seek answers.